Some films though hard to watch, make essential, enlightening viewing. Vito, the biographic documentary by director Jeffrey Schwarz about the American film journalist and gay activist Vito Russo is one such exercise. 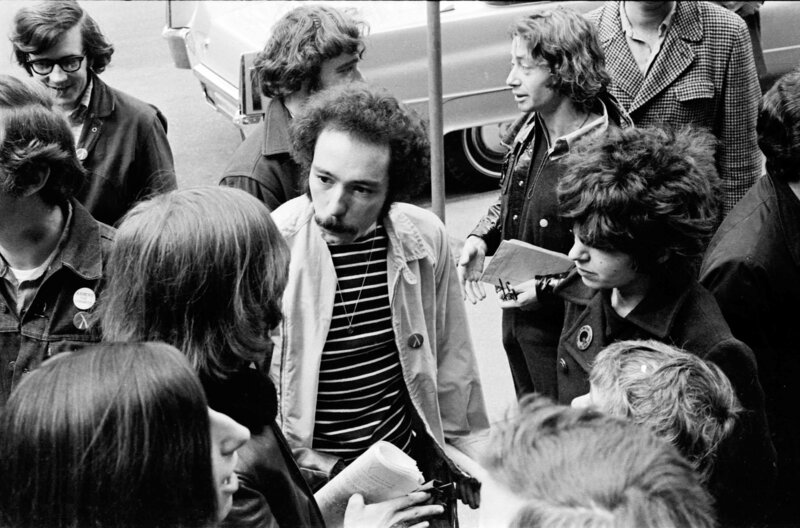 The film charts Russo’s life of self-discovery from his childhood in New Jersey to his life as one of the leading lights at the centre of New York’s gay community during the 1970’s and 1980’s. However, having watched it, one has to question whether the film has any real reason behind it and whether it succeeds in its objective? Vito – which is ultimately a look at a man who struggled to find his identity through the liberation and freedom of expression of the gay rights movement – can be viewed in one of two ways. As a study of an influential period in the history of cinema the film is fascinating. Working in the film department of MOMA whilst studying at university it didn’t take long for Russo’s interest in the hitherto untapped subject of gay and lesbian representation in cinema to come to the attention a member of the department’s senior staff. As a result Russo began what would become his lifetime’s work, writing the influential and groundbreaking book ‘The Celluloid Closet’ – an in-depth study of the way homosexuality was represented through motion pictures and in particular those from Hollywood. In his later years much of his time was taken up promoting and lecturing on his book, and as such the documentary’s focus on this area of Russo’s life is fascinating both from a film history as well as a cultural viewpoint. Equally revelatory is the chronicling of Russo’s involvement with the gay rights struggle through the founding of the organisations GAA (Gay Activists Alliance), GLAAD (Gay & Lesbian Alliance Against Defamation) and ACT UP (AIDS Coalition To Unleash Power). Up to this point the attitude of society as a whole was clearly homophobic, and the passion and fearlessness of Russo and his associates went a long way to bringing about the freedom and liberty experienced today. However, as shown in the film, much of the way they went about achieving their aims could be seen as alienating, doing little to dispel the image of what the public saw as an antagonistic and militant minority. Like the life of Russo himself, this HBO documentary is both divisive and eyeopening and, if it achieves nothing else, it should at least bring the pioneering life and work of this courageous man to a wider audience.